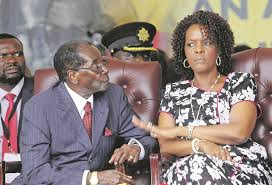 A CASE in which former President Robert Mugabe lost US$150 000 to a relative and his employees has taken a new twist amid revelations that the latter actually stole close to US$1 million cash from the politician. The suspects — Constance Mugabe (50), Saymore Nheketwa (47), Andrew Mahumbe (37) and Johannes Mapurisa (50) — were arrested early this month for allegedly stealing US$150 000 from Mr Mugabe’s rural home in Zvimba. According to updated court papers released yesterday, Mr Mugabe lost US$922 000 to the suspects whose case was remanded to February 7 this year by Chinhoyi Magistrate Mr Tawengwa Chibanda. The prosecution led by Mrs Kessia Teveraishe alleges that in 2016, Mr Mugabe packed books in four briefcases. He took them to his library at his homestead in Zvimba. Mr Mugabe included a black polo briefcase containing US$1 million. He gave his house keeper Constance the briefcase for safekeeping. Mr Mugabe, the court heard, did not tell her what the briefcase contained. On March 1, 2018, Mr Mugabe demanded the briefcase from Constance. She allegedly professed ignorance about its whereabouts but promised to look for it. Mr Mugabe later ordered one of his employees, Mr Edson Jemwa, who is the group human resources manager at Gushungo Holdings, to look for the briefcase on January 6 this year. He had received news on how the suspects were living luxuriously. Mr Jemwa went to Mr Mugabe’s homestead in Zvimba, according to the State, where Constance led him to the recovery of one Amiet briefcase and another Blue Deisey Club briefcase at the former President’s summer house. The Black Polo Club briefcase was recovered from Mr Mugabe’s main bedroom. A police report was made and the suspects were arrested. The bags were taken to Mr Mugabe’s home in Harare without verifying the contents with the suspects or the police. Mr Mugabe, who was in Dubai, reportedly identified the Black Polo Club bag as the one which went missing when he returned to Harare. He discovered the bag now had US$78 000 instead of US$1m. The four were arrested. During investigations, police discovered that Mapurisa, who was employed as a caretaker, bought a house for US$20 000 at Murombedzi Growth Point. He registered it in the name of his wife, Noticia Sibindi. He also bought a Toyota Camry for US$6 800. The vehicle was recovered by the police. Nheketwa, another caretaker, allegedly bought a Honda Fit. It was also recovered. The court also heard that Muhumbe, employed as a groundsman, bought a Honda CRV and registered it in his brother, Emmanuel’s name. The vehicle was also recovered. Police also recovered US$42 800 from the suspects.